OK, there is a lot to comment on in this uproariously funny video, which implicitly libels yeshiva guys, and is oblivious to the concept of תורתך שעשועי. But what has really been preoccupying my attention since I first saw it yesterday, is the "missing vort" - i.e., which way did Yaakov Avinu read Parashas Zachor, with a segol (zecher) or with a tzeirei (zeicher)?! But, in a derech that is typical for him, Rabbi Shternbuch (Moadim u'Zmanim vol. 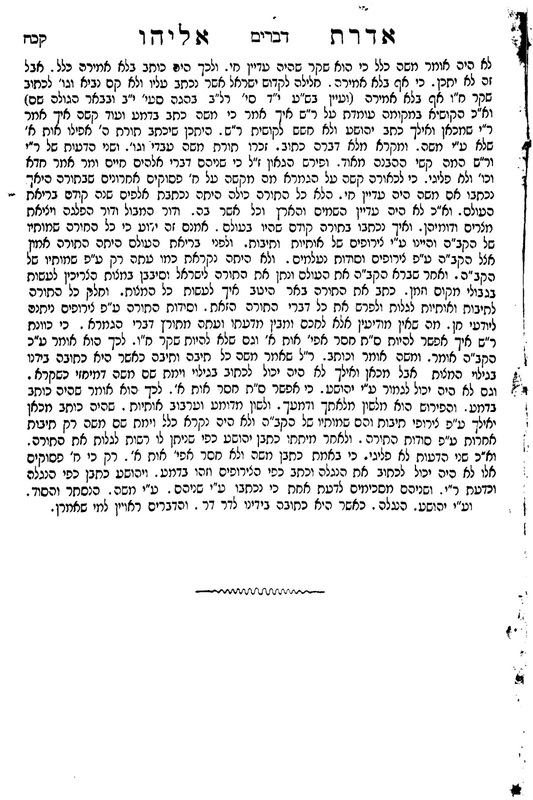 2 p. 138) suggests that at the end of Beshalach it is zecher, while in Ki Teitzei it is zeicher. He bases this on an idea that he cites in the name of R' Meshulam Roth, the Kol Mevaser (this, BTW, is in and of itself a fascinating phenomenon! RMR - a Hungarian, no less - is the sole posek of stature to have ruled that one should say Hallel with a berachah on Yom HaAtzmaut, and here is the eventually-to-be "Nasi" of the Eida Charedis quoting him with approbation, and even with a zt"l! ), to explain the Gemara in Bava Basra (21b), in which Yoav kills his Rebbe for having erroneously taught him that the obligation is only to kill the males of Amalek, not the females as well. The obvious question is, how dumb could the Rebbe have been to have heard the keriyah year after year and heard zochor (i.e., with a double kamatz) rather than zeicher or zecher? 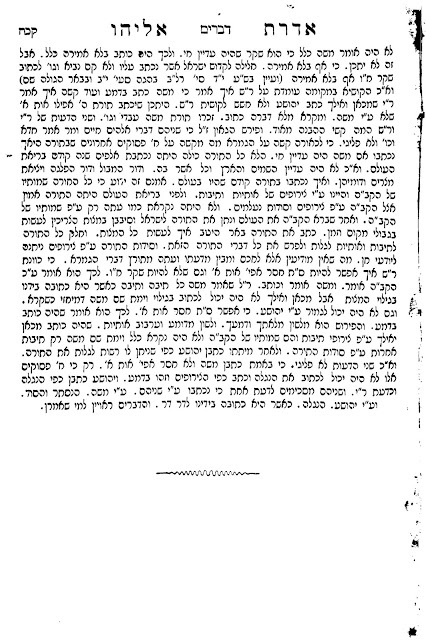 So RMR suggests that the Rebbe actually heard and taught zecher, with a segol. But he knew that we have a word כעשן, as in וכל הרשעה כולה כעשן תכלה, which is spelled with a double kamatz that appears in Vayeira with two segols, in כעשן הכבשן. So the Rebbe interpreted the word that he heard, zecher, according to its alternative reading, zachar. ודפח"ח! Now, although Rabbi Sternbuch does not mention it, the Gra asks why in Beshalach Hashem tells Moshe both to write down his pledge to eliminate Amalek and to relate it to Yehoshua as well? Kinda' belt and suspenders? So his answer is that the verbal relating to Yehoshua was to preclude the Yoav situation - i.e., that he should not read it as zachar, but as (get ready for this contradiction! ), according to the version of the vort in Kol Eliyahu, with a segol, zecher; and according to the version of the vort in Divrei Eliyahu with a tzerei, zeicher. But according to RMR, the answer would be different: Hashem told Moshe to tell Yehoshua that although the word which was to be read zecher (with a segol), Yehoshua should not make the mistake of interpreting the word according to its alternative spelling as in the case of כעשן. So, suggests Rabbi Sternbuch, that precaution of the verbal explanation would work for Yehoshua, so indeed in Beshalach the reading should be zecher. Whereas in Ki Teitzei, which is the parashah that is read in public to fulfill the mitzvah of Zechiras Ma'aseh Amalek, in order to remove any doubts, it must be read zeicher. Now, among the other inaccuracies in the video is the notion that the Avos knew the Torah - Chazal say they fulfilled (קיימו) the Torah. But... since the keriyah of Parashas Zachor is a mitzvah d'orysa, that parasha at the end of Ki Teitzei is the "cheftza shel mitzvah" of that mitzvah. So Yaakov had to have had that parashah to be fulfill the mitzvah! So, we who read (according to Rabbi Shternbuch) zecher in Beshalach read it also me'safek in Ki Teitzei (not because of a regular safek, but because of the "din safek" a la Bein HaShemashos a la the Rogatchover and RYBS - which is why the end of Rabbi Shternbuch's note is incorrect, ואכמ"ל). But Yaakov Avinu either did not have the parashah in Beshalach, or had it in the form of the Gra's tzirufim. He only had the parashah in Ki Teitzei, which in and of itself would be read only as zeicher. And that is מסתמא how he read it.